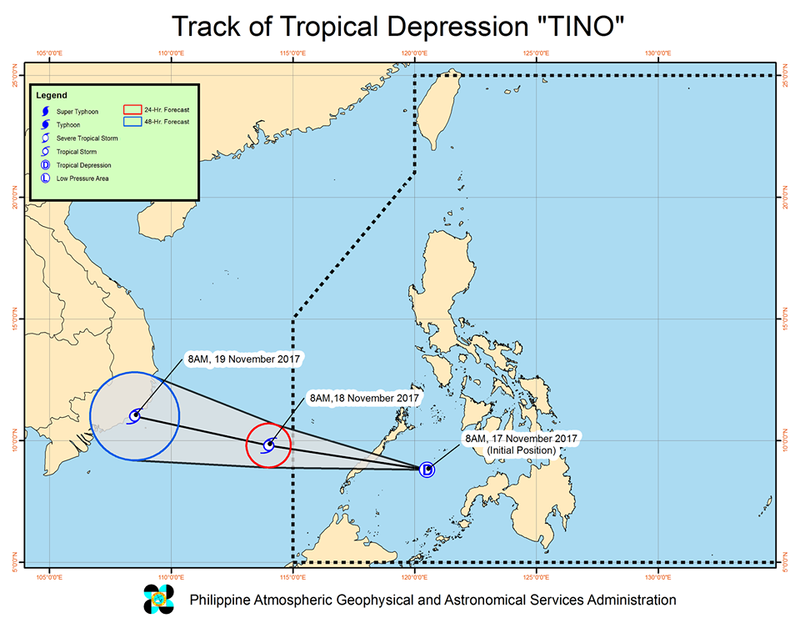 Bagyong TINO Update, Forecast, Storm Signals and Track | #TinoPH - Balita Boss! Philippine Atmospheric, Geophysical and Astronomical Services Administration (PAGASA) said on Friday, November 17, that the low pressure area spotted at Southeast of Puerto Princesa City, Palawan has developed into a tropical depression and was named Bagyong Tino. Here's the weather update on Bagyong TINO from the state weather bureau. "#TinoPH IS ABOUT TO MAKE LANDFALL OVER PALAWAN WHILE MAINTAINING ITS STRENGTH." According to the weather advisory of PAGASA, issued at 5:00 p.m., Bagyong Salome, at 4:00 p.m., was estimated based on all available data at 65 km East of Puerto Princesa City, Palawan (09.7 °N, 119.3 °E) with maximum sustained winds of 55 kph near the center and gustiness of up to 90 kph. For latest updates, kindly check below the Tweets about "#TinoPH".